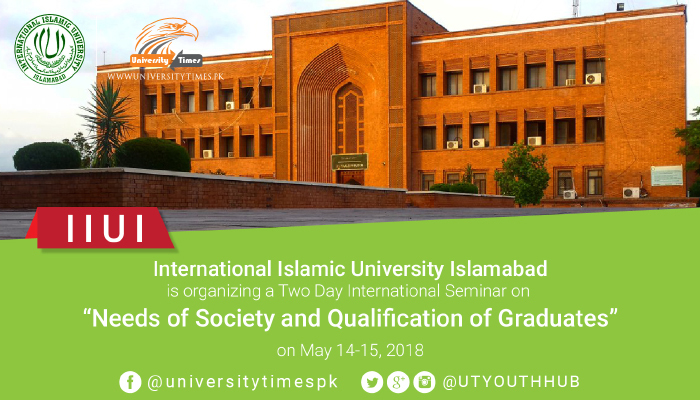 International Islamic University, Islamabad (IIUI) is a public university located in Islamabad, Pakistan. This is a famous university of Pakistan which gives all type of facilities to its all students. IIUI have complete admission policy and all students get admission on merit here. The University came into existence with the unique purpose of producing graduates, scholars and Islamic practitioners who follow Islamic Ideologies. In this page we are going to share with you complete admission policy of this university. It was established in 1980 and restructured in 1985. This university is affiliated with Higher Education Commission (Pakistan), Pakistan Engineering Council, Pakistan Bar Council. University is authorized to award undergraduate, post-graduate, and doctoral studies programs in natural science, technology, social science, engineering, humanities, arts & religious studies. The old campus of the University is situated in the vicinity of the magnificent Faisal Masjid. The university does not offer co-education system. Therefore there are separate campuses for the male and female students. While the new campus, central library, administrative buildings are located in the sector H3. The degrees offered by the IIU are recognized and approved by the Higher Education Commission and Pakistan Engineering Council. Now this university is going to announce merit list 2019 and you can check complete merit list online free from this page.